Natty features in the Frugi Organic Clothing catalogue for the second season, SS13. I do believe they are the first company to use a model with a disability more than once in their campaigns. So hats off to them. Here are a few of the best pictures from the photoshoot, which I think really manages to capture her personality and essence this time around. I hope you like them. Natty had fun as you can see but of course she is a true ambassador, gently changing perceptions of that extra little chromosome from within hearts everywhere she goes. 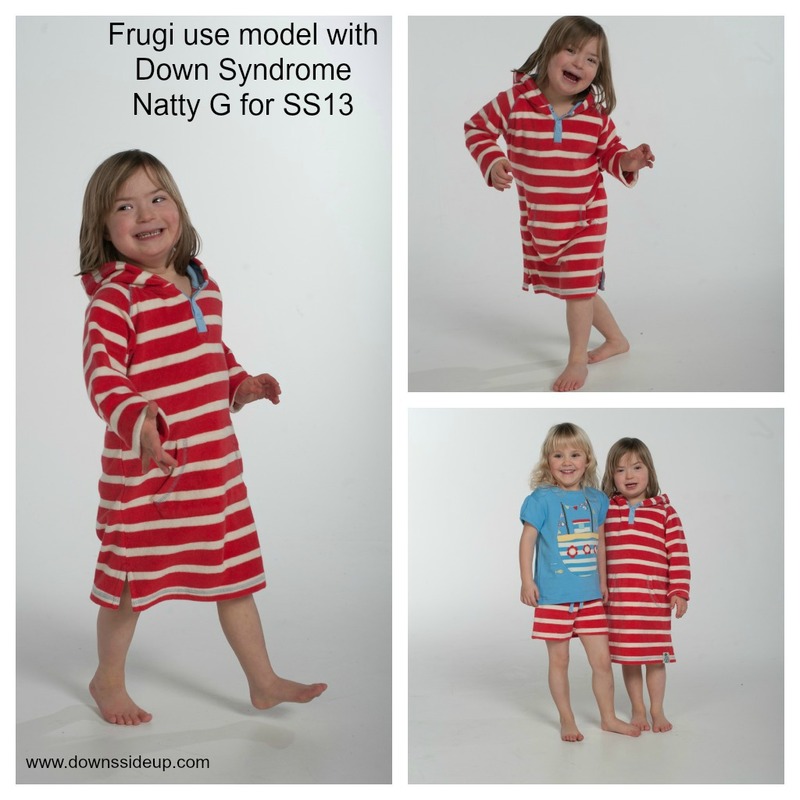 To see more candid pictures and find out what happens at a photoshoot, read BEHIND THE SCENES AT THE FRUGI PHOTOSHOOT here. 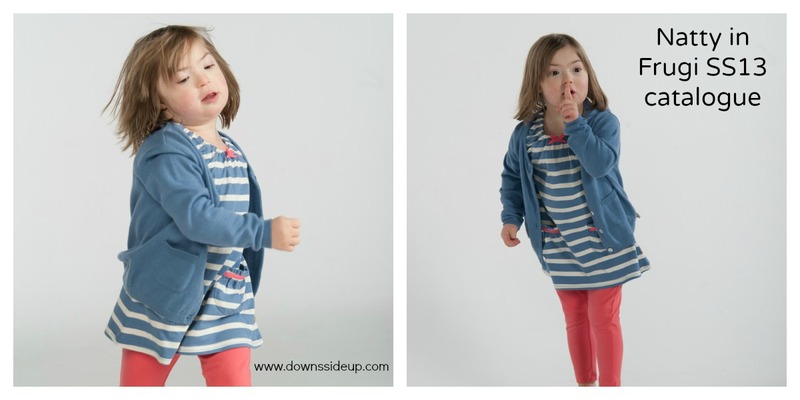 To read about the other children breaking down the barriers to make advertising more inclusive, read PIONEERS WITH DOWNS SYNDROME here. 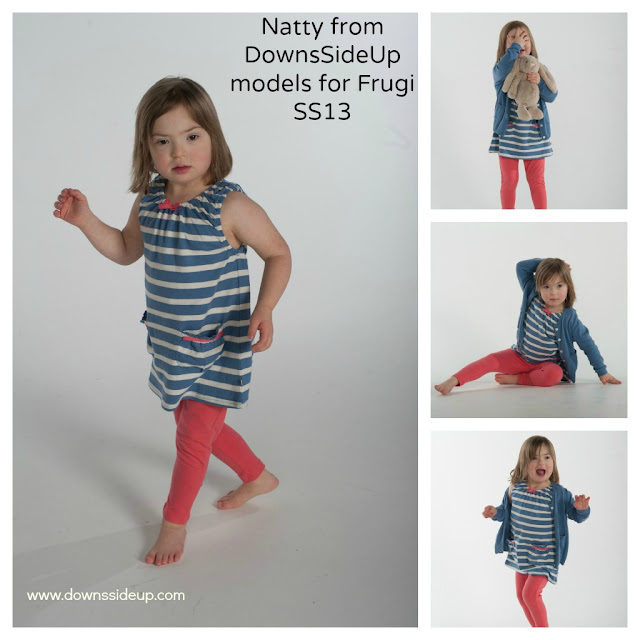 To dee more pictures and read about Natty's other jobs visit our NATTY G: MODEL WITH DOWN'S SYNDROME PAGE. Oh that is brilliant. The photos are so cute and looks like she had a lot of fun doing it. I shall share this on my facebook. that is fantastic - there should be more companies doing the same - it's amazing what that could achieve in enlightening people and altering perceptions :-) keep it up, Natty- you're a star!